La Iglesia Episcopal Le Da La Bienvenida! / The Episcopal Church Welcomes You! Nota: La iglesia no tiene acceso para los discapacitados en este momento. We look forward to your visit to St. Andrew's. The church is only three short blocks from the 53rd Street subway station of the Broadway "R" local train. 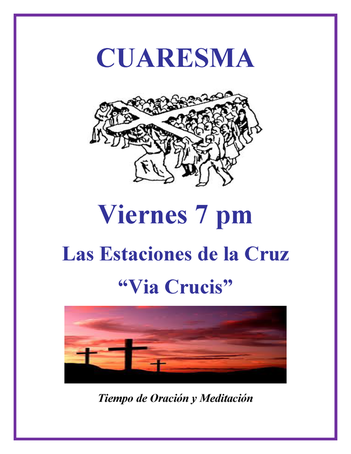 Our worship services are in Spanish. A bi-lingual greeter and usher will welcome you and assist you during the service. You will also enjoy visiting with our priest and members of the congregation during the hospitality hour after the service. 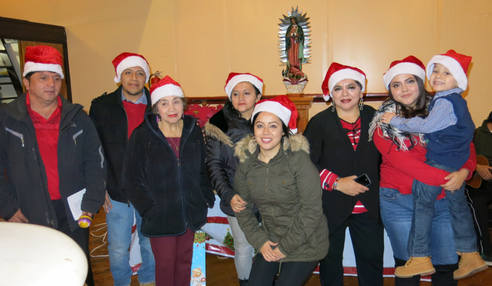 And you are invited to all of the parish's events that we offer on occasion in our Sunset Park, Brooklyn, community. Bienvenidos a San Andrés en el nombre de Jesucristo, una maravillosa congregación de la Diócesis Episcopal de Long Island. 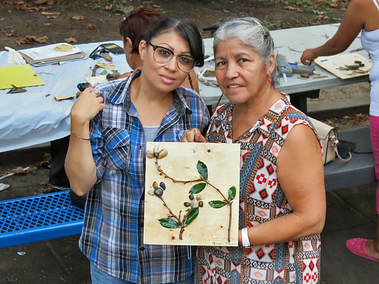 Les invitamos a orar en San Andrés, y a los diversos programas; y eventos especiales que tenemos cada semana en el parque comunitario Sunset de Brooklyn. Welcome in the name of Jesus Christ to Saint Andrew's, a wonderful congregation of the Episcopal Diocese of Long Island. You are invited to worship at St. Andrew's and to come to the many programs and special events we have every week for the Sunset Park community of Brooklyn. elected January 28, 2018 at our Parish Annual Meeting. Un grupo de 16 miembros de la Iglesia de San Andrés por un año estuvimos preparándonos para un peregrinaje por Tierra Santa y finalmente el pasado Noviembre 27, 2017 viajamos a Isarel. Por 9 días recorrimos Galilea, desde Cesarea al Río Jordan; de Banias y los Altos del Golan al norte al desierto de Judea al sur. Cruzamos dos veces a territorios Palestinos para visitar Jerico y Belén y por supuesto recorrer con emocion la ciudad santa de Jerusalén. Muchos fueron los lugares santos visitados siguiendo los pasos de Jesús en su vida y ministerio. Hubo tiempo para darnos un baño en el Mar Muerto y una escapada, aún así de cansados para visitar la preciosa Tel Aviv-Jaffa. 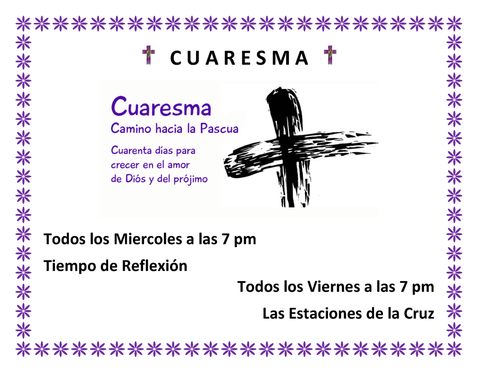 Fue un tiempo de convivencia, enriquecimiento espiritual y celebración. 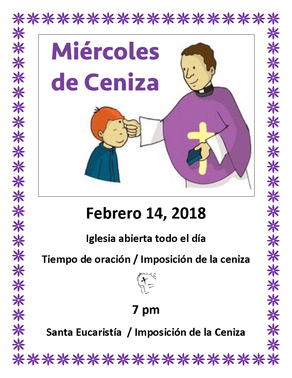 Cada día teníamos tiempo de oración y el Domingo celebramos nuestra Santa Eucaristía en la bendita ciudad de Jerusalén. 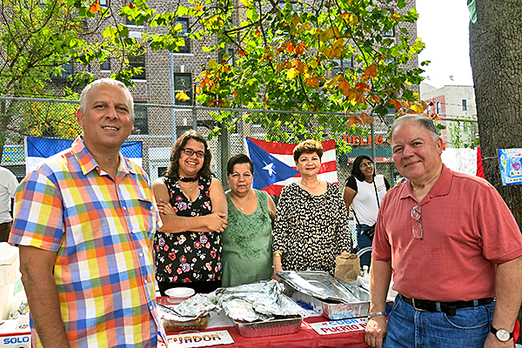 Compartimos nuestro peregrinaje con miembros de la Iglesia del Redentor en Astoria y en nuestro grupo dos matrimonios de la Iglesia Católica Romana agradecidos de compartir con nosotros este viaje tan especial. Anímese y regálese usted mismo esta experiencia única de visitar Tierra Santa. 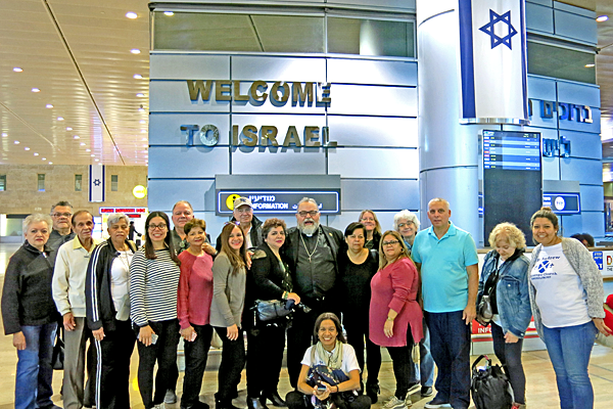 For a whole year, 16 members of San Andres prepared for a pilgrimage to the Holy Land and finally last November 27, 2017 we traveled to Israel. For 9 days, we traveled through Galilee, from Caesarea to the Jordan River; from Banias and Golan Heights from the north to the Judean desert in the south. We crossed twice to Palestinian territories to visit Jericho and Bethlehem and, of course, to walk through the holy city of Jerusalem, a spiritual and emotional experience. Many of the holy places we visited followed the steps of Jesus during his life and ministry. There was time to take a swim in the Dead Sea, which gave us a break, and even though we were tired, to also visit the beautiful Tel Aviv-Jaffa. Our pilgrimage was a time of being together, spiritual enrichment and celebration. Each day we took time for prayer and on Sunday we celebrated the Holy Eucharist in the blessed city of Jerusalem. 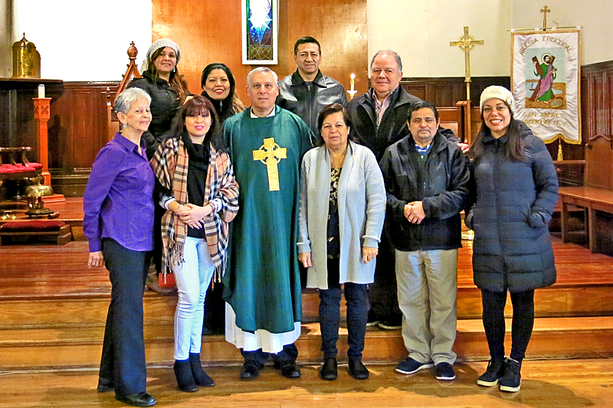 We shared our pilgrimage with members of the Church of the Redeemer in Astoria, and in our group were two Roman Catholic couples gratefully sharing with us in this special trip. We encourage you to consider giving yourself the unique experience of visiting the Holy Land. "La paz del Senõr sea siempre con ustedes." "The peace of the Lord be always with you." que es parte de la Iglesia Episcopal y de la Comunión Anglicana mundial de iglesias. El Obispo Diocesano es el Reverendísimo Obispo Lawrence C. Provenzano. international Episcopal Church and the worldwide Anglican Communion of Churches. 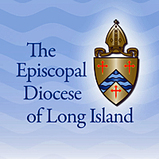 The Bishop Diocesan of Long Island is the Right Reverend Lawrence C. Provenzano. Esta página de Internet sepublica con el apoyo de la Diócesis Episcopal de Long Island, Oficina del Ministerio de Comunicaciones. San Andres' website was created in 2010 with assistance from the Diocese of Long Island Office of Communication Ministry. As of 2011, the website is managed and updated by the Very Reverend Francisco M. Rodriquez.